The What: Sonance has begun taking pre-orders for its new Professional Series range of in-ceiling, pendant, and surface-mount loudspeakers. The What Else: Sonance Professional Series includes a total of 22 new 70V, 100V, and 8-ohm selectable in-ceiling, pendant, and surface-mount speakers. The in-ceiling speakers feature a bezel-less grille design to minimize visual distraction and reduce shadow lines, while also providing for a one-step painting process. The magnetic retention simplifies installation and reduces the risk of damage during installation. Black grilles are also available, eliminating the need to order a specific black speaker. The optional square adapter allows the speakers to match the aesthetic of downlights or HVAC grilles. 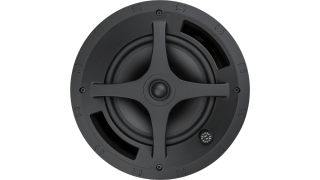 The range includes a 4-, 6.5-, and 8-inch two-way and an 8-inch woofer, all of which are UL 1480 and UL 2043 certified and ship with white grille, tile bridge, and C-ring. The pendant speakers utilize a minimalistic design similar to pendant lighting to blend discreetly into the environment. The integrated top cover hides the hanging hardware and wiring connector. Each pendant is supplied with two 16.4-foot stainless steel suspension cables with snap hook and two Gripple hangers to help ensure a safe and secure installation, and are available in black or white (paintable) in 4-, 6.5-, and 8-inch two-way and an 8-inch woofer, and all models are UL 1480 and UL 2239 certified. The surface-mount speakers feature Sonance’s FastMount bracket and a front cable connection and tap selector to speed up the installation process and provide a clean appearance. The weather-resistant construction is IPX4, Mil Spec 810, and UV IEC 529, allowing them to be used in either indoor or outdoor applications. They are available in both black and white (paintable) in 4-, 5.25-, 6.5-, and 8-inch two-way and an 8-inch woofer with UL 1480 and UL 2239 certification. The Bottom Line: All models in the Professional Series feature full-fidelity transformers for 70V/100V performance, heavy-duty voice coils for reliability, high-excursion woofers for extended bass response, and a chambered 1-inch tweeters for precise high-end detail. They also share consistent voicing across the categories for seamless sonic integration when used together throughout a space. The Professional Series is available to pre-order now and starts shipping in early March.